If there is one time of the year that advertisers get all hot under the collar over, it's the festive season and the retail bonanza leading up to Christmas. Gifts of all kinds are packaged up and sold to eager consumers bent on satisfying their obligations to ensure every member of their families and a good number of friends, acquaintances and work colleagues are suitably endowed with something nice. Of course, for anyone that has the time and patience to think it through, the thin veil of marketing genius falls away to reveal a manufactured need to give and receive gifts at this time of the year. The whole thing is a retail sham designed to make money for the sellers of said gifts, cleverly shrouded in a mass hysteria designed to make everyone believe this is the way it is, was and always will be. 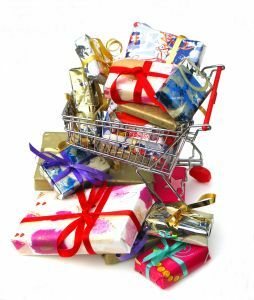 There is a powerful business imperative at work in generating the consumer buying frenzy at this time of year (as it is with other seasonal shopping spikes such as Mothers Day, Halloween, etc). Advertisers know full well that they can sell ice to Eskimos most of the time, but in the run up to a big seasonal event such as Christmas, they can do it with one hand tied behind their backs. People are already in a buying mood during this time, so all advertisers need to do is push them in the direction of the products they want to sell to them. Using celebrities to advertise their brands is always a powerful selling technique. The audience's ready-instilled mental buying programming will do the rest! Another side to this special time of year is the ever growing necessity to decorate the home in festive adornments. This includes the ubiquitous Christmas tree, suitably decorated with lights, baubles and shiny tinsel, along with all manner of colourful decorations hanging from every part of the home (including the outside). Front doors in every street are adorned with decorative wreaths, garlands and other suitable ornaments. The outside of homes are often garishly lit with enough light bulbs to illuminate a whole third world city using enough power to keep said city running for a month! This is another side to a specialised manufacturing industry that is capable of making a year's worth of income in a single month. In fact it has to, since there is little demand for their product throughout the rest of the year. You can get a lot of additional information about the decorative aspect of the festive season from the Christmas Tree Factory with resources on buying good value trees, wreaths and decorations at favourable prices. There's nothing quite like a good resource for finding the things you want that come recommended by a knowledgeable source like that one. Additionally, there are some useful guidelines on fire safety concerning the kind of Christmas tree electric lighting that is used abundantly this time of year here: Holiday and Christmas Tree Fire Safety. Stay safe and stay informed and have a great festive holiday while you're about it!